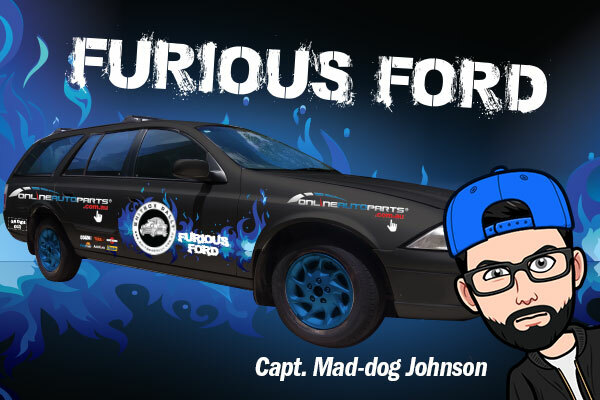 We're taking on the 2018 Shitbox Rally to help find a cure for Cancer. We're proud to be right behind the Shitbox Rally in 2018 not only as an Official sponsor, but also getting behind the wheel and getting down and dirty with our own Two Teams. 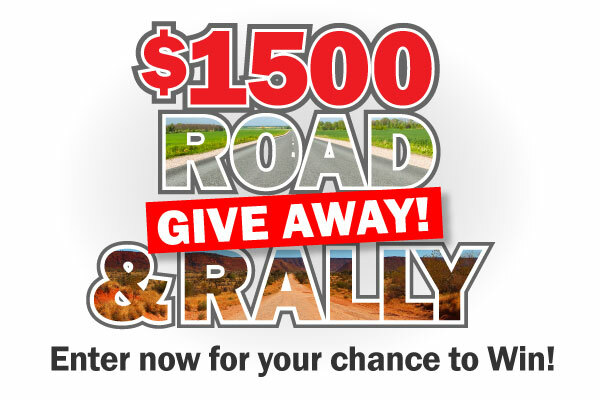 Don't forget to Enter our $1500 Road & Rally Giveaway and Vote for which of our two Teams you think will make it to Darwin first - it's 'Hells Holden VS Furious Ford', see details below or enter now. Our Teams left with over 200 others on May 19 with a common thought: "Will my Shitbox make Darwin..."
During the Rally we'll be sharing all of the expected (and the unexpected) dirt and drama that's sure to unfold as our both of our Teams head for Darwin on 19 May along with over 200 other Shitbox Rally competitors! Come back daily and check out our Teams location map and Twitter status reports, it's going to be a bumpy ride! Enter the draw to win up to $1500 in prizes! 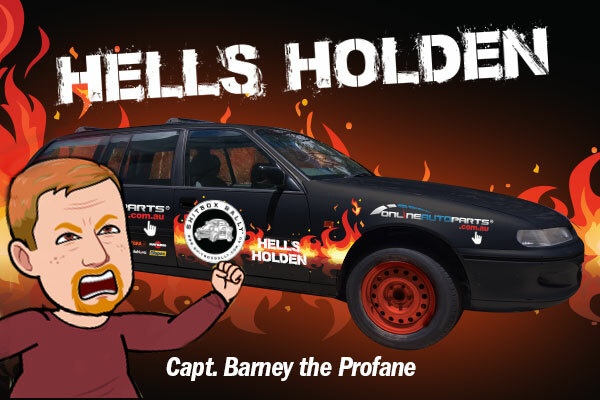 ‍Congratulations to H. Binge (NSW) who also gets the bonus prize for voting our Hells Holden 4thewin over Furious Ford! Simply provide your details and tell us which of our Online Auto Parts Shitboxes you would like to see arrive in Darwin first? PLUS an awesome Chiller Cool-Stool packed with Rally snacks! View competition full Terms and Conditions here. From 19 to 25 May our Two Teams the Hells Holden and the Furious Ford will be leaving Brisbane and heading to Darwin with all of the Shitbox Rally entrants from across Australia with nothing but a few supplies and lots of testosterone and facial hair. Shitbox: 1996 Commodore VS 3.8L V6 Wagon. Why our Holden will dust the Ford: We're driving a damn Holden, isn't that enough. Seriously, that's enough right? (Yeah and we are RED so that's another damn good reason). Shitbox: 1999 Fairmont AU 4.0L 6 Wagon. Why our Ford will dust the Holden: FORD is short for FASTER ON RALLY DIRT. I think Holden is just a shorter way of saying LOOSERS. So what's the Shitbox Rally all about? Firstly, the Shitbox Rally is not a race, it is a challenge. A challenge of man, woman and machine to drive a Shitbox (Car worth less than a $1000) 3600km from Brisbane to Darwin across bitumen, dirt, rocks, dust (and anything else that gets in the way) while raising some much needed money for the Cancer Council. Whether it be parents, family, close friends, people we know or ourselves that have battled or are battling cancer, this awful disease has touched us all. This event is officially endorsed and supported by the Cancer Council. OnlineAutoParts.com.au is a replacement Auto Parts website launched in 2006 driven by a mission to deliver high quality Auto and 4x4 spare parts and accessories at seriously great prices! (often well below RRP). Every part we sell from steering, suspension, electrical, cooling, drive line, brakes and more, have all been assessed for reliability and value and come backed by our Match-Fit 100% fitment guarantee*, warranty, returns policy and fast delivery! Get the right Fit at the right Price, delivered fast.